‘Mad’ is Chloe Esposito’s debut novel. Alvie has always been in the shadow of her glamorous sister Beth. So when she’s invited to her identical twin’s luxurious Sicilian villa, Alvie accepts. Who wouldn’t want seven days in the sun? With Beth’s hot husband, the cute baby, the fast car and of course, the money. The thing is it’s all too good to let go and her sister Beth isn’t the golden girl she appears. It’s Alvie’s chance to steal the life that she deserves. If she can get away with it. ‘Mad’ is the first book in new series by Chloe Esposito and it’s an absolute cracker of a story, fast paced, edgy with drama and sass this book has a heroine that made for delicious read. Alvie is fed up with life, having spent most of her life scrimping and saving, she both loves and hates her identical twin sister for having the life, that Alvie is convinced was meant for her. Beth is married to the man that Alvie only loved. With a rich life and settled in Italy, Beth was always the favoured twin of the two, much to Alvina’s discontent. The favourite twin, the prettiest and the apple of her mother’s eye, Beth is oblivious to the world that Alvina lives. So, when Beth invites Alvine to visit her new family, Alvina reluctantly takes the opportunity to reflect on her life and get a bit of sun. But whilst discovering the perks of the lifestyles of the rich and the famous, Alvie unearths some hidden truths and discovers a new talent. I absolutely adored this book. Alvie is crude, rude and is unapologetic for her reckless behaviour, also having spent her life living in her sisters shadow, made it easy for me to sympathise and understand her issues in life. The story flows at a nice easy pace and with the picturesque location of Sicily, it was easy to settle into the book. The narrative is seen solely through Alvina’s eyes and this makes for fun and entertaining reading, that was really enjoyable. 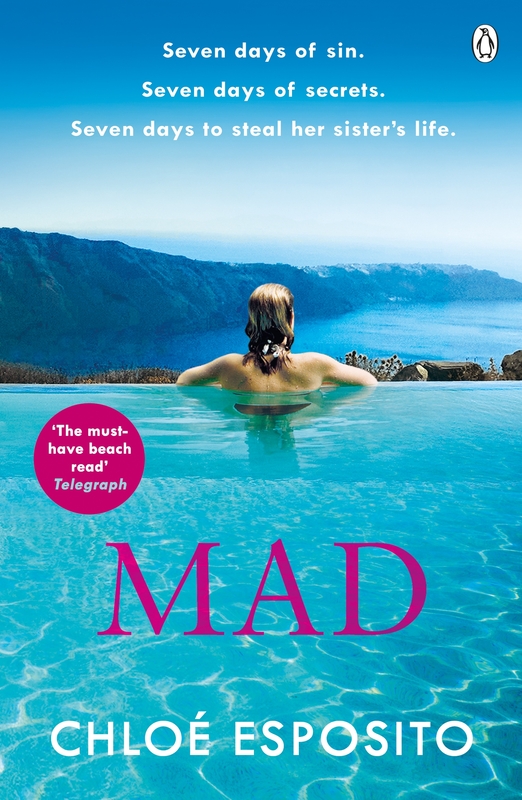 Witty from the first page and riddled with lies and suspense, ‘Mad’ is an excellent first book of a new series called ‘Mad, Bad and Dangerous To Know’ and I really look forward to reading the rest, perfect for fans of Rebecca Chance and Tilly Bagshaw. You can buy Mad from Amazon and is available to buy from good bookshops.